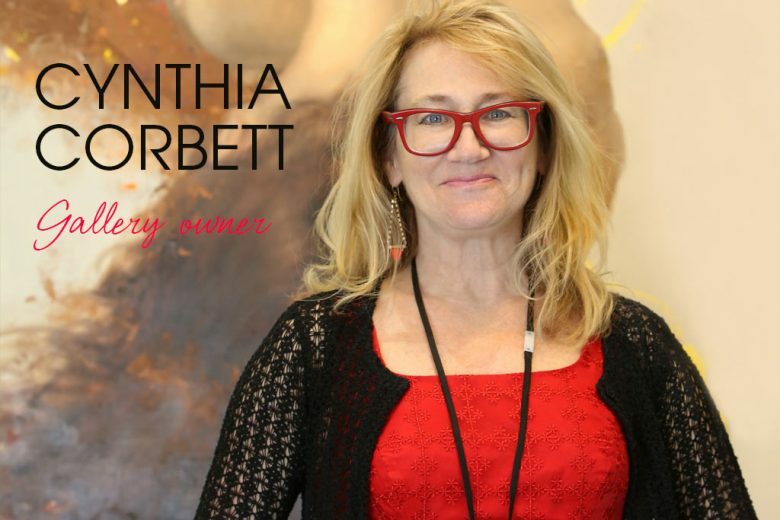 Cynthia Corbett is the Founder and Director of The Cynthia Corbett Gallery, an international contemporary art gallery which has an annual exhibition programme in London, Los Angeles and New York. I started my working life in the 80s as an international Economist advising large multi-nationals operating in emerging economies mainly in New York and London. I did this for 12 years and travelled a lot in my job – from Latin America and Africa to Eastern and Central Europe. How did your career change after starting a family? I worked in a very male-dominated world, but didn’t find this challenging. I was surrounded by supportive people and I was good at what I did so I received a lot of respect. After having my daughter, I was able to set up a brilliant support network of family, friends and paid-for help so that she never felt neglected. My daughter had a very happy and rich early life as she was exposed to so many interesting things and wonderful people. When she was about seven, something changed – she wasn’t the same happy little girl and things weren’t going well for her at school. I thought that this was to do with my demanding job and international travel, so felt that it was time to change direction and find something that was more compatible with family life. I had always loved art and art history, so I decided to retrain as an art historian. I found an academic course at Sotheby’s and Christie’s that I was able to combine with looking after my daughter. We sold our house and used the equity from that to fund my studies and to buy a smaller home. I used to do most of my academic work when my daughter was at school or in bed – and the flexibility of this meant I was able to focus time and attention on her. I ended up taking her to an educational psychologist and we discovered that that she was dyslexic. I always maintain that if I hadn’t been more available at this time in her life, I wouldn’t have discovered that this was the reason for her sudden change in behaviour. I loved art and wanted to find a way to promote artists and support and nurture their careers – and at the same time, find artists that people would be interested in investing in. Considering my background, a gallery seemed like the obvious route. After completing my academic training, I felt I needed to do something else to help me make the transition from academia to the commercial world – not an easy transition! I took various contemporary art courses, worked as a Tate Guide and a freelance curator and spent a long time going to see things, researching and getting a real understanding of what was out there and how my gallery could fit in. By 2004, I felt it was time to be brave and I opened The Cynthia Corbett Gallery. One of the first exhibitions I put on was quite commercial and although it was successful financially, I was uncomfortable with the experience because I didn’t love the art I was showing. This made me realise that I could only work with artists whose work I genuinely loved and believed in, an ethos that is still central to my business. I use my home – a converted Victorian convent in Wimbledon – as the gallery. It has high ceilings and lots of natural light, so works brilliantly. As Wimbledon isn’t in the hub of central London, I have always had to find interesting spaces for my exhibitions. Early exhibitions were held in all sorts of spaces, ranging from the oldest eye glass shop in City of London to an abandoned Victorian house in Camberwell. I was doing ‘off-site’ exhibitions many years before the pop-up scene exploded in London! By 2007 I had enough budget to start showing at art fairs and in London’s Cork Street, where I regularly exhibited until 2014 when this world-renowned art district started being redeveloped. My background in communication, diplomacy and different aspects of business sets me apart from other gallerists – I know how to communicate cross-culturally and my chutzpah definitely shines through! The other obvious difference is that the gallery base is in my home; my clients love this. Because of my academic and curatorial training, I wanted to develop something along these lines for the gallery, so in 2009 I launched the first edition of the Young Masters art prize. This is a non-for-profit initiative that celebrates the link between contemporary art and art history. We’ve now had three editions of the prize and it’s very well-regarded in the art world. Judges for the next edition in 2017 include the Secretary and Chief Executive of the Royal Academy of Arts, Charles Saumarez Smith and the art critic Godfrey Barker. In 2014 we launched a ceramics strand of Young Masters and the winner of that – Matt Smith – has just finished a residency at the V&A. The artists who have been part of the initiative are all doing brilliant, high profile things, which makes me feel really proud. How do you choose the artists you show? I choose artists whose work I love and can connect with. I am driven by complicated work but ultimately it has to be beautiful. Most of the artists I started with I still represent. 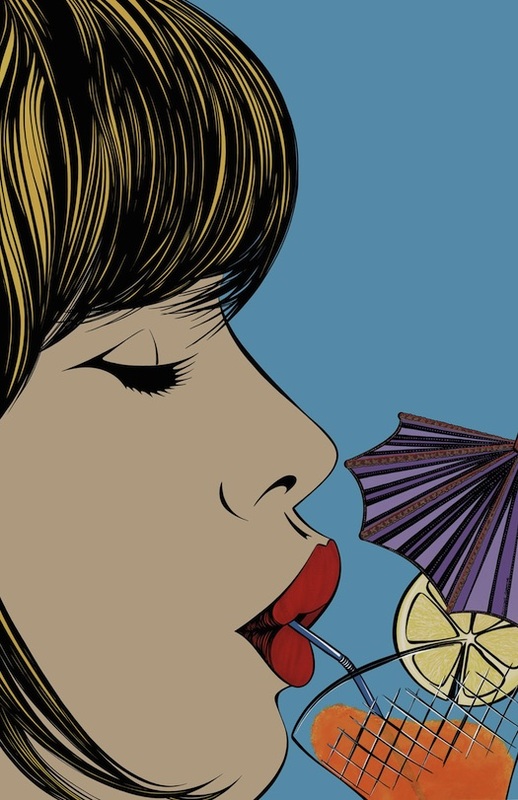 One example is Pop Artist Deborah Azzopardi, who is one of the most important artists I’m working with at the moment. We’re very different, but we work really well together. We’re going to be showing a focus on her new paintings in our Summer Exhibition in June, which I’m really excited about. Passionate commitment! People who pursue things no matter what it takes. The courageous aspect of art. How has The Cynthia Corbett Gallery evolved over the years? We were ahead of the curve on the pop up scene – but this was because it was the only way we could get our artists seen. We had to be out there no matter what. We’re still small and dynamic, which I’m very proud of, and I think we’ve developed into a credible model for the evolution of gallery representation in the 21st century. Although we’re quite traditional in the way we represent artists, we’re becoming more and more international. Money! Or lack of. The costs of running a gallery are prohibitive. The next five years will be really interesting for us and we’ll see if we can keep going as we are. Making the transition from a career that I loved to one that I love even more – and one that I can combine with family life. The richness of life and family life are number one. You have to be out there. We spread the word through our exhibitions, by showing at art fairs, getting professional PR support and taking a creative, forward-thinking and strategic approach to our online profile. How have you balanced running the gallery with family life? Talented ladies have a more difficult time than other ladies! I am lucky that I’ve been able to work a lot from home and that I have a supportive husband who has been very involved in bringing up our daughter. When you run your own business, it’s possible to be flexible, and there have been times when I’ve had to put my family first; because the business is my own I’ve been able to do this. I’m a workaholic! I’ve always been driven – even when I was at school – and have felt a responsibility with my family to succeed. I have always wanted to make a difference, work hard and achieve something. I’d like the gallery to continue, to see my artists evolve, get them into better public collections and museum shows. I’d also like to see Young Masters grow and to secure a big corporate sponsor to help ensure its future. The Cynthia Corbett Gallery’s Summer Exhibition will run at the Royal Opera Arcade Gallery in London from 27 June to 9 July. The gallery will present a Young Masters showcase at the Royal Opera Arcade Gallery during Frieze from 3 to 8 October.